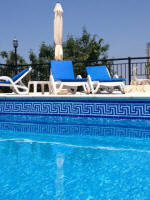 H2Owen, owned and managed by Mike Owen (RoPPP registered 2008/4/1288/PPO) started from a small apartment in Paphos and as with many businesses in Cyprus, they offered pool maintenance, gardening, villa cleaning and generally everything to do with the tourism industry and ex-pat lifestyle. However they soon realised that their unique selling point was the specialist pool plant and chemical expertise acquired in the UK so made the decision to concentrate in this one area. They have never looked back. Before the H2Owen business was born, few pool cleaners on the island seemed to recognise the importance of the different effects stabilised and unstablised chlorine had on swimming pools and testing the pool water with anything other than the simple dip strips was virtually unheard of. Mike addressed the issues of Cyanuric Acid and hard water problems that had not been tackled before and using the latest technology in Photometric water testing, unravelled many uncertainties surrounding water balance and sanitation. 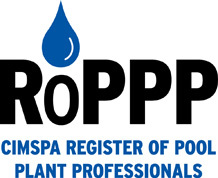 With his hunger for knowledge and expertise, which to this day is unwavering, he has trained and successfully installed a team of CIMSPA qualified pool maintainers alongside the chemical supplying outlets. H2Owen have had some exciting developments over the past few months. ‘At H2Owen we are always actively looking for new products and services that we can offer to enhance your pool and the maintenance of it. We have recently started to stock a wide selection of new products including Phos Free, which destroys phosphates in the water that are particularly prominent in well water, thus preventing algae growth that thrives on phosphates. CarePods, used predominately to enhance water clarification and remove suntan oil residue and Ecosavr liquid solar pool covers that prevent overnight heat loss and evaporation. We are adding new lines all the time so come and see what’s new! We also always have a wide range of pumps, filters, chemicals and pool equipment in stock. Our Renolit Alkorplan 3000 liners are a real hit at the moment, with their 10 year guarantee for water tightness, we can transform your pool within 3 days including arranging your water replacement. 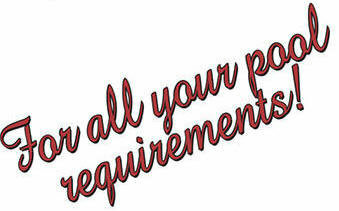 You will be please to hear that there are no hidden costs with our quotations and all our liner replacements come with an authenticity certificate from our supplier as well as a written warranty from the German manufacturer. While you are having your liner replaced you may also consider having steps built into the pool if you currently rely on a ladder. Steps not only visually enhance the pool but offer an additional safety aspect as well as a seating area for those hot sunny days! Or why not opt for a Borderchoice border if the top of your pool has become faded but your pool is not quite ready for a liner replacement. One of the latest innovative products is the waterproof LED bulb replacements that simply slot into your existing light surround, is a completely sealed unit and run at a fraction of the cost of standard bulbs. H2Owen continue to provide free water analysis, just bring a bottle and we will run tests on Chlorine, PH, Alkalinity and cyanuric acid. Once analysed we provide a free diagnosis for water balancing and expert advice on the running and control of your pool and it’s equipment. In addition we can offer a further service for salt water and bacterial testing for a small charge. ‘BREAKING NEWS’ - we are delighted to now offer FREE home delivery in the Paphos region for purchases over €50 or over 25kg in weight (combined). This is proving to be a very popular service and saves not only your journey but the sometimes difficult nature of handling heavy chemicals. On another note our customers may have noticed that there has been a price increase on our high standard European chemicals this has been enforced by our main supplier. We have managed to keep these increases to the minimum and would advise customers that they should read the labels and check the volume of the chemicals they are purchasing if they appear much cheaper elsewhere. Sometimes the packaging does not reflect the contents! "The safe use of chemicals in your home and workplace is essential for your health and wellbeing. The EU laws on chemicals, known as REACH, CLP and the Biocidal Products regulations, can help. By law, you have to be provided with information that can help to answer these important questions: how hazardous are the chemicals and products that you handle and how can you use them safely? 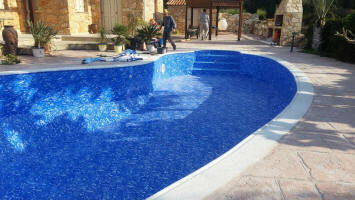 All the questions can be answered by browsing through the Material Safety Data Sheet (MSDS) provided by AstralPool"